At times, you may need to get to very high places that your step ladder can’t reach; that’s why we have extension ladders, also known as telescopic ladders. As the name suggests, the ladder can be extended but how? Basically, this ladder has two sections; the base and ‘fly’. It’s not rocket science; the fly overlaps the base thus doubling the height. Though they are mostly used by tradesmen, they may come in handy for a range of DIY projects like painting and even maintenance; like repairing gables and changing security lights among many other domestic uses. But shopping for the best product remains a problem for many would-be buyers. For this reason, we decided to review some of the best models in the market that should be on your wish list. So, without further ado, here are our top picks for the best extension ladders in 2018. Duty rating, does it really matter? 1. What brand are you buying? 2. What is the working height? The Mexican built Louisville FE3228 is our top pick for the best extension ladder for wiring and electrical work in general for a simple reason; its fiberglass material. 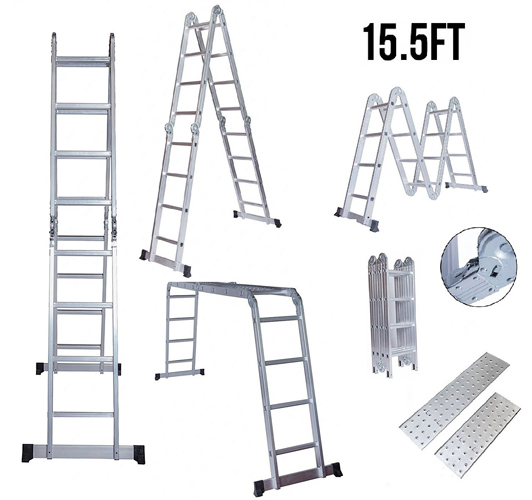 Aluminum seems to be the most popular extension ladder material but then, it is not suitable for electrical use. So instead, fiberglass material is used. Besides, it has a strong build and considering the quality of fiberglass, it will last longer than your average aluminum ladder. For starters, fiberglass is a non-conducive material meaning it won’t complete the circuit. This is why electricians choose it over aluminum ladders. But then, you must know that fiberglass is heavier than aluminum so if you are keen on a light ladder, Louisville Ladder AE3216 is a great option to consider. One thing I like about this ladder is the build quality. As we all know, fiberglass is stronger than aluminum and will last longer too. Besides, the direct rung-to-rail joint design makes the frame sturdier; no shaking or wobbling when you are up there. For me, I am no electrician so the weight of fiberglass scares me. But then the weight is justified by the performance of this ladder. It is rated as a 300 lbs. ladder and furthermore, it is ANSI 14.4 certified and is CSA Grade 1. I am a 210 lbs. and it comfortably holds my weight. We tried it with a much higher load; I went up with a 30 lbs. load and at 240 lbs. it still felt sturdier. Even though it may not comfortably handle 300 lbs., I’m sure at something like 270, it will still be ok. I also like the serrated D rungs that add safety, especially when working in the rains. Regarding the pulley system, I won’t complain but then it’s not the best you can get; it at times gets stuck in cold weather otherwise on a normal day, it’s reliable. On the downside, the price is too high considering there are fiberglass ladders that can do ordinary wiring work for less than $100. 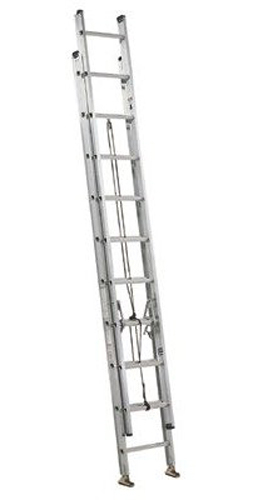 An example is the 10 ft. Louisville Ladder FE8910 that costs $95 and has an impressive 375lbs. load limit. Actually were it not for the weight of the ladder, and price too, I would consider it a great heavy duty extension ladder. But for a typical electrician, this will be value for money – it’s made of fiberglass, and is heavy duty. For the record, not all telescopic ladders use the traditional approach of base and ‘fly’ system. There are some that are very versatile and can be extended to reach those great heights. One of them is Finether, an aluminum 330 lbs. extension ladder. It takes the spot for the most versatile ladder because it can be used in over 5 different configurations. Besides, it is lightweight and budget friendly too. Personally, I don’t consider Finether 169093001 a tool; it’s more than a tool. You can use this ladder in very many ways; single ladder, double-sided ladder, work platform, trestle, stair ladder and so on. In an ordinary home, this would be a great choice because of the variety of climbing needs that arise. As a handyman, I like it because you can climb or make a workbench with the unit. Actually, for me, I use it as a workbench alone to help me place my small tools. I’m afraid, it can’t withstand my weight for 5 minutes when fully extended but in other modes, it’s quite strong. This is to say that while it may be a great step ladder, trestle or even a single ladder, it’s not an ideal extension ladder. But the good thing is that it’s very lightweight and when folded, it takes up very little space. Actually, if you are a camper or you have an RV, this is one equipment you will want to buy. Last summer, I thought it would help in setting up the tents and all that as a ladder and thereafter we set it up as a working platform to hold some of our stuff; talk of killing two birds with one stone. I know most people are worried about their safety when up there and I want to assure you that with this ladder, you don’t have to worry about the hinges locking. In fact, the hinges are certificated to European Safety Standard EN131. The Finether 169093001 is indeed a multi-purpose ladder, perfect for all domestic ladder needs. But it’s not heavy duty as listed. If you weigh a maximum of 175 lbs. I would recommend this ladder but anything higher than that, it won’t last three months, trust me. If you are working very high, then you need something long enough to take you up there. The Werner D1224-2, at 24 feet, is a great extension ladder, ready for the job. It’s made of high-grade aluminum material that makes it sturdy and most importantly, lightweight. Actually, if you are looking for a ladder that you can carry around the workplace easily, this is the best one; it’s only 25 lbs. But just like many other ladders, I have an opinion about the duty rating. But then, this ladder is very hard to set up and unlike some models like the 16 ft. Louisville Ladder AE3216 that I set up alone. Not because of any structural problem, this is a 24 ft. ladder and requires at least two people to set it up. Remember, in as much as it is lightweight, it may overpower you when it’s standing vertically. I like the idea of rope clipping; raising and lowering the height is very easy. Regarding sturdiness, I must commend the build quality especially the i-beams. They are very strong and provide a firm base for the rungs. On the other hand, the rungs are the patented ALFLO, specially designed to prevent twisting when stepping on it. Additionally, a Shu-Lok feature helps to hold the foot in a steady position while the spurs come in handy on soft ground. But like I said, I have a problem with the duty rating. When fully extended, I feel unsafe when on the ‘fly’ deck. I think this is because it’s a 24-foot model but the same ladder but in 16 feet, it is very stable and would accommodate 225 lbs. as recommended. But on the long 24-foot extension, it greatly bulges. Basically, the 24-foot model becomes frail and weak when fully extended but at something like 18 – 20 feet, it’s a great ladder. I will only recommend the Werner D1224-2 if you weigh something like 175 lbs. Otherwise, if you are 200 lbs. plus, don’t fall for the marketing hype. But that’s on the tall 24-foot model but on shorter models, the performance is great. If you are on a tight budget, I recommend this ladder from Idealchoiceproduct. It boasts the same design as the multipurpose Finether 169093001 meaning you are able to use it as a single sided ladder, double-sided, trestle, and workbench among others. But what makes it peculiar, and the reason why it made it on this list is the price. Together with Finether, they are two of the best multifunctional ladders and from the fact that it retails at $101 while Finether sells at $129, it’s the best-budget multipurpose extension ladder. This is not really an extension ladder but rather, a full ladder set with scaffolds and platforms. It is also another versatile extension ladder that can come in handy during an outdoor adventure. You can use it with different configurations each setting allowing you to mount it for a specific climbing need. But my problem with it is that it has too many parts and in fact, assembling it is quite hard compared to Finether 169093001. If you had fallen into the idea of tagging such a ladder along when going for camping, this one will not make it. When folded, it takes quite a bigger space and during such times, space is a resource. Also here, I dispute the duty rating when in the extension ladder mode. You can even hear it squeaking when climbing. But at the end of the day, I was able to stand on it when fully extended but then, it can’t hold 210 lbs. for a very long time. So if you are thinking of this one for painting and you are 200 lbs. plus, it’s not a good idea. But as far as versatility is concerned, it’s something worth revisiting. If you are on a very tight budget, this ladder is a great deal, but ideally if you weigh less than 200 lbs. But if you think it should suit you because it’s rated 300lbs., you’ll be in for a rude shock. 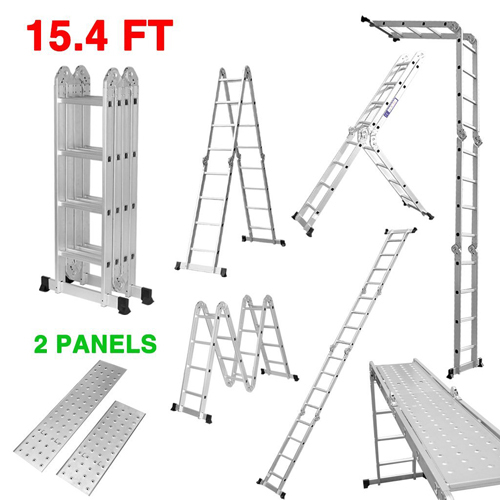 But then, it is a great purchase if you want a ladder set that can do something else apart from climbing heights. For the big guys, here’s the perfect extension ladder for you, the Louisville Ladder AE2216. This is a 16-foot model crafted from high-grade aluminum material and is ANSI Type 1A. It has a maximum weight limit of 300 lbs. so any average person can comfortably use it. What I like most about it is the sturdiness; it doesn’t shake even when I stand on it with the extra 40 lbs. of my garage door opener making it 250 lbs. and still, it was up to the task. For that reason, it takes the slot for the best heavy duty extension ladder. Like earlier mentioned, this ladder earned a spot in this review because of its impressive load capacity. We thoroughly tested it and so far, only the ANSI and CSA certified Louisville Ladder Fiberglass can match its actual rating, leave alone what these marketing hypes say. I was able to stand on it together with the door garage opener and spray gun, that’s 270 lbs. and from how I looked, it could have taken more. Personally, I’ve known Louisville for its build quality. I also liked the D shaped rungs – you can work in just any conditions without worrying about slipping or sliding. But then, the space between the beams is very small but notably, it makes the rung more strong and sturdy to prevent bending, a common problem with low-quality aluminum ladders. Another thing I like is the Quicklatch Runglock System that securely locks the ladder in place. Nothing can be hazardous when the fly doesn’t lock securely. In fact, this one has an advanced molecular polymer runglock. As much as the manufacturer may guarantee durability, I am afraid, plastic is not the best material. Another shortcoming, it is very heavy compared to Type I ladders like AE2216. Though not an outdoor ladder, I like the swivel feet that allow it to be placed on an uneven ground. Besides preventing the ladder from moving, it self-adjusts on an uneven ground so you won’t worry about shaking when up there. On the sides, there are glide guides that help to keep the fly in the right gliding position when adjusting the height. The Louisville Ladder AE2216 is a great heavy duty extension ladder. Besides the impressive duty performance, it is very lightweight so if you are looking for a heavy duty and durable extension ladder, this is your product. If your work involves moving around with your ladder, then this is the best products to buy, the Louisville Ladder AE3216, a heavy duty ANSI Type I aluminum ladder. For starters, a ladder rated Type I has been built using aluminum alloy which is very much lighter than pure alloy. The best part is the fact that it doesn’t compromise strength; it is as hard as pure aluminum. The Louisville Ladder AE3216 is very similar to the Louisville Ladder AE2216 which is ANSI Type IA built using the best heavy-duty aluminum. If you are looking for durability and strength, the AE2216 is what you should buy. Even though it has been rated as heavy duty, its performance can’t compare to what AE2216 offers. I climbed it and the 210 lbs. seemed quite enough. It wouldn’t be ideal for anyone heavier, in fact, I can’t use it for tasks like painting that require long hours of use. But then, for a 175 lbs. handyman, it’s a great choice. But then this one beats it if portability is of great concern for you. Apart from the ANSI specifications, all the other features are similar to the AE2216. It also has a Patented Quicklatch Runglock System, swivel safety shoes, D-shaped rungs and non-marring end caps. But then, you will have to cough out a few more bucks for this ladder. It is very interesting that the 250 lbs. AE3216 is much expensive than a high performance 300 lbs. AE2216. The reason, portability. But for me, I find this a con; I would go for the heavier ladder anytime and save the 10 or so bucks. In my opinion, this is not a worthy purchase unless you are overly into portability. A real heavy duty ladder is everyone’s primary concern so I would rather take the AE2216. Nevertheless, it’s always recommended to set up the ladder with someone else who will also help you carry it. Now that we know the best extension ladders in the market, it’s time we talk a thing or two about shopping. This will be our business in this second part of this review. But just before we go deeper, it’s important that we grasp what extension ladders are. I know most people still don’t get the distinction between extension ladders and the other ladder types. Extension ladders have one base and can be extended to reach higher heights. Perhaps the biggest distinction is its design; it comes with two ladders; one which is the based and the other one which is the extension that overlaps on it. Once you make it stand upright, there is a pulley system with a rope for adjusting the secondary ladder. But note, there are other ladder formations that can be configured to extend just like an extension ladder. Remember, even though they may not be extension ladders by book, they still serve the same purpose quite well; reaching great heights. A good example is Finether and Idealchoiceproduct. If you are wondering how an extension ladder will be of value to you, here are some situations where it comes in handy. I know you must have heard of duty rating; in step stools, tool boxes, and a range of other tools and equipment. In extension ladders, duty rating refers to the maximum weight load a ladder can comfortably withstand. You know how important this is so when shopping, it is among the most important factors that should make you decide whether you are going for Werner D1224-2 or Louisville Ladder AE2216. Light duty (Type I) – These are ladders meant for those weighing 200 lbs. and below. These ladders are suitable for light domestic tasks like changing security lights and other tasks that require just a short time up there. Medium duty (Type II) – If the ladder has been rated as 200 – 225 lbs., that’s a medium duty and still will be perfect for basic climbing. Heavy duty (Type III) – This is where the professional level starts. You will want such a ladder because the 250 lbs. weight limit will accommodate an average American and his tools. If you are over 200 lbs., this is a category you should be shopping in. Extra heavy duty (Type IA) – For heavy-duty jobs that require long hours of standing, like in construction, heavy duty ladders are the best. They can hold up to 300 lbs. Extra heavy duty (Type IAA) – IAA ladders are used for industrial purposes and can accommodate up to 375 lbs. You must be wondering what are ANSI and CSA standards? Ladders too, just like much of the other stuff have standards and these two are basically the common standard ratings of ladders. BUYING TIP – When choosing a duty rating, always get a higher duty ladder. This is especially if you will be going up there with heavy loads. Ladders are built using different materials, fiberglass, aluminum, and wood being the common ones. Even though the material may not be a major consideration for a lot of people, it greatly affects the weight and durability of the ladder. In some cases, it may determine where it will be used. Though not very common in the market, wooden ladders are cheap and quite durable compared to plastic and aluminum. They are also firm and will hold more weight compared to the rest of the materials including fiberglass. But the major problem with wooden ladders is their bulkiness. This may not be in terms of weight, but volume. To make a strong wood rung that can withstand 200 lbs. will require some thick wood. This is so far the best extension ladder material. Aluminum is loved because of its affordability compared to fiberglass. It is also more available and accepted compared to wood. The biggest strength of these ladders is their weight and sturdiness. Aluminum is lighter than steel and will still give quite some stellar steel-like strength. On the downside, it may not last as long as fiberglass, but this is heavily dependent on the grade of the aluminum used. This is the best quality ladder material on the market. Even though it was meant for electricians and electrical work in general, it is still a superb choice for heavy-duty use. This material is not only strong, it is also able to withstand extreme conditions and won’t rust like aluminum when exposed to wet conditions. This material is also heat resistant so regardless of your working conditions, you will still use your ladder without worrying about a thing. On the downside, it is very heavy so if your job involves moving around with the ladder, it might be strenuous. 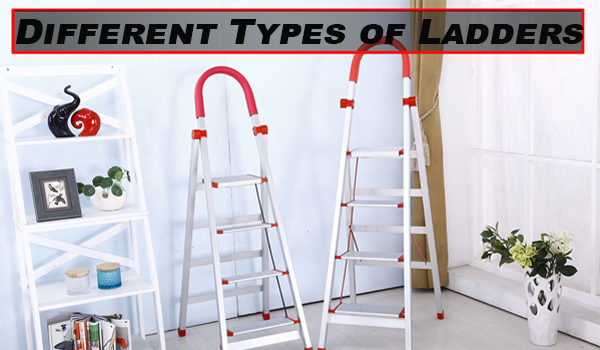 Now that you have decided you want to get an extension ladder, the biggest hurdle will now be, which one do you go for. It is important to note that the decision should be informed. You should consider several factors before you decide to pay for a particular ladder. 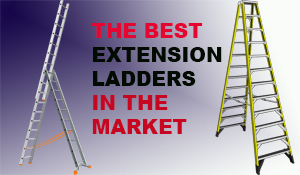 That said, here are the most important factors to consider when buying extension ladders. Even though this is something that is often debatable, the brand you are buying is very important. Remember, quality varies from brand to brand and top brands are where they are just because of the trust customer have in them. For this reason, it is always recommended that you buy from a popular brand. Some of the brands we are talking about here include; Louisville, DeWalt, Werners, and so on. Besides quality top brands are renowned for excellent after sales. In case your unit has a problem, they are always ready to help to avoid jeopardizing their reputation. Also, replacement parts can be found available. This is unlike these cheap brands that don’t even have customer support and build their ladders with the cheapest grades of material. Even though top brands may be expensive, they are real value for money. Remember, you get what you pay for, and cheap is expensive. Are you looking for an extension ladder for reaching high streetlights or just one for reaching the gable and attic? After you answer this question, you can now comfortably decide whether you will but a 16-foot ladder or a 24 foot depending on your working height. Here, there are two things I need you to note. First, it is always recommended to go for a higher height; remember, there are days you might need to get much higher. A 24-foot extension ladder may seem a big deal because you don’t need such heights. But it won’t hurt when you just adjust it to the height you require. Someday, you may want to go higher and nothing is as bad as having a short extension ladder. Remember, you’d rather have it and don’t need it than need it when you don’t have it. Second, the longer the ladder, the weaker it is when fully extended. For example, at full stretch, the Werner D1224-2 24 foot ladder becomes frail when climbed on. On the shorter 16 foot model, the ladder remains firm when the same person climbs it. What I will advise here is that if you want greater heights, give a considerable allowance for duty rating. For example, if you are 200 lbs., just get an extra heavy duty (Type IA) extension ladder. NOTE – You may not be able to work with the entire length as indicated. Remember the small allowance where the fly is locked to the base doesn’t count. Like earlier mentioned, different ladders have different capacities. We have ladders for the light handymen and others for heavy handymen. They are classified into 5 groups depending on the recommended weight limit. It is important to know your weight when going out for shopping. Get a ladder that will be able to accommodate your weight as well as that of your tools. Here also, I always recommend you get a ladder with some considerable duty allowance. Even if you are light, get a ladder that has a high duty rating. One thing most people don’t know is that the less strain you put on your ladder, the better its durability. To put it into perspective, a Type IA ladder being used by a 200 lbs. handyman will last longer than one used by a 250 lbs. workman. This is when the user is equal in both cases. Personally, I am 210 lbs. and I have a 300 lbs. ladder. Extension ladders are made with different materials. Each material has its pros and cons. When buying a ladder, make sure the material fits your working needs. For example, if you are into electricity, get a fiberglass ladder while if you are looking for the lightest design, an aluminum ladder will be the best. Also, when it comes to durability, know that fiberglass is the best but then, it is very heavy. If you will be carrying your ladder more often, you will want to worry about the weight. Lightweight ladders are the best but then, a lightweight ladder means the materials used are light so sturdiness is put on question. You will agree with me, that aluminum will be the best material when you are keen on a light ladder. But then, not all aluminum ladders are light. It also depends on the number of parts used as well as the thickness of the aluminum. Something to note here, even though the longer the ladder, the heavier the ladder is expected to be, it’s not always the case. For example, a fiberglass 16-foot ladder may weigh heavier than a 24-foot ladder. In the same token the Finether 169093001, a 15 ft. ladder is heavier than Werner D1224-2, a 24-foot ladder just because Werner has more parts. Ladder accidents are very common especially when it comes to extension ladders. This is because they have only one base. But at least there are several safety features that make work safer with ladders. When shopping, look for safety features like anti-slip foot shoes which prevent the ladder from skidding on soft surfaces. We also have twist-free rungs that prevent the rung from twisting especially in wet conditions. Some rungs may also be serrated to give you a good grip during rainy seasons. According to a research by World Health Organization (WHO), there are around 164,000 emergency room-treated injuries and 300 deaths caused by ladders in the U.S. Falls from ladders are also prevalent in construction sites and mostly occur from 10 feet and below. More alarming, the number of ladder accidents have tripled in the last decade. For this reason, we always champion for safe ladder use and to show our commitment, here are the dos and don’ts when using ladders. Don’t erect ladders anywhere near power lines. Keep a distance of at least 10 feet. These are among the many safety tips that will help you be on the safe side with your ladder. But the greatest thing to remember, always use the ladder for its intended purpose only. Extension ladders are the best when it comes to high ground areas. Though they may not be the safest, at least they give you a comfortable and a little safer working platform. So, if you are the type that stands on a table and a stool to get to high places, it’s time you consider getting an extension ladder. Put all the factors into consideration, set your budget and get something that will accommodate your weight and tools and most importantly, one that will give you long service.